Present regime could last 10 years says law proffesor. Doubts and uncertainty over Brexit changes. 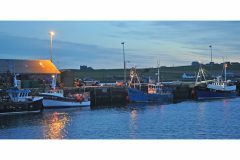 The existing fisheries management regime in the UK could last for up to 10 years after Brexit, according to a law professor at Hull University who specialises in the law of the sea, reports Tim Oliver. Professor Richard Barnes, when asked if the UK would be able to set up a new fisheries regime before Brexit kicks in, told the BBC: “If I were a betting man I would say we can see the status quo being continued for the next five to 10 years. “There’s an assumption that coming out of Europe will immediately free us up to do what we want. The simple fact is that we need to manage our fisheries – we can’t put ourselves in a position where there is no law applicable. That would be absolutely devastating for the sustainability of fish stocks. The professor said it would be legal to expel foreign vessels from the UK EEZ, ‘subject to important caveats’. These included making available to other states any surplus fish the UK could not catch, and co-operating in the management of shared or common stocks. Asked if the UK would be able to police its new 200-mile EEZ, Professor Barnes said we ‘struggled’ to do so now and would do even more so after Brexit, when there would be ‘potential tensions and fishermen might be inclined to test out the boundaries’. Professor Barnes, an expert in the Law of the Sea at Hull University, was speaking on a BBC World Service Programme ‘Global Business – Fish to Share’, which explored the potential future of UK fishing after Brexit. The programme talked to people from all sectors of the industry, from Peterhead to Newlyn, and revealed a wide range of views, including a lot of uncertainty and doubt about what the future holds. Jimmy Buchan of Peterhead said the ‘jury is out’ over Brexit. Stocks were the best for 40 years and needed to be managed sustainably – but not by Brussels. SFF chief executive Bertie Armstrong said the UK would be in charge after Brexit and able to say who gets in and who doesn’t. “We’ll be in the same position as other coastal states and apply our own rules – you can only come and fish in our waters if you bring something to the party if it’s a shared stock or there’s some reason I want to let you fish here. “That’s not the sea equivalent of a ‘land grab’ or acting unreasonably. Why would we want to keep the lights on in coastal communities in other places that have been on for 44 years while ours have been out? But at the other end of the country, in Newlyn, a leading figure in the south west industry, Elizabeth Stevenson of WM Stevenson and Sons, expressed doubts about the UK’s ability to negotiate a good deal. She explained how she had seen at first-hand during Brussels negotiations how much the UK relied on the support of Spanish and French colleagues to get the best deal for the industry and how much power they exercised. She pointed out the small size of the UK catching sector, which the BBC confirmed was less than 0.05% of GDP in 2016. “What I fear in Brexit negotiations is that we no longer have the support of the Spanish and the French – we are going to be negotiating against them. People think that because I’m worried I like what we’ve got – I don’t; I want to have a much better deal for the industry. But as the Commission has already said, we can’t be seen to be getting a better deal by being out. “What exactly are we going to have? In order for us to have a better deal, somebody else has to give up something –some access rights or some quota – and I just can’t see any of the other EU countries giving up something for us to get a better deal. NFFO chief executive Barrie Deas struck a more positive and hopeful note. “I think there’ll be a deal, an arrangement that will give non-UK vessels some degree of access to fish in UK waters, but that will be linked very much to satisfactory quota shares,” he said. “It’s going to be a very different way of arriving at the key decisions each year. Those decisions will reflect the new world the UK will be in as an independent coastal state. 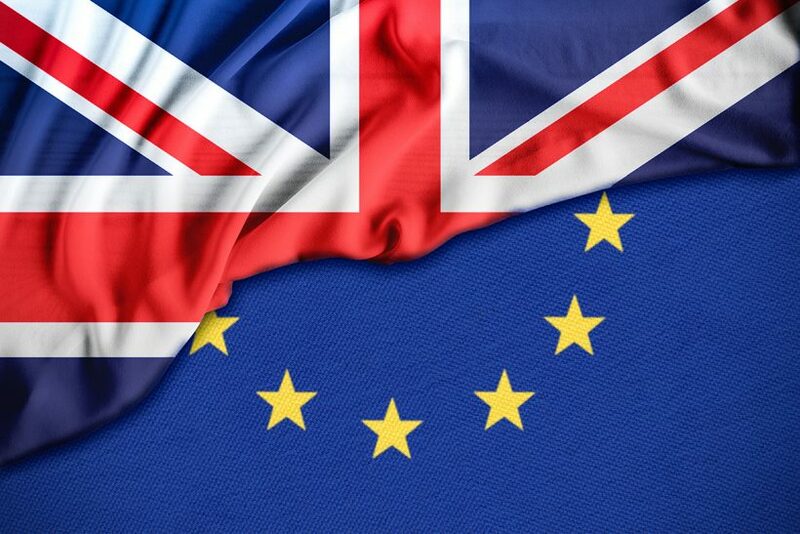 What is at stake for other EU member states after Brexit was made clear by Dutch industry leader and chairman of the European Fisheries Alliance (EUFA), Gerard van Balsfoort. He said the formation of EUFA, an alliance of nine EU states with fishing interests, meant that 18,000 fishermen had joined forces against a hard Brexit. 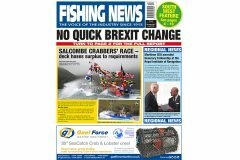 “In the past 10 years 18,000 fishermen and 42% of our catches were realised in what is going to become UK waters, so you could say we have a dependency on access to UK waters,” said the EUFA chairman. “If there was a hard Brexit and the UK expelled all foreign boats from their waters, then we have a problem. It would endanger about 40% of our volume and one-third of our catch value. Around 18,000 fishermen would be without a job, and the profit rates of our companies would fall about 50%, so that would be disastrous. But Newlyn fisherman Jeremy Hosking had little sympathy for the EU countries. He said he was ‘longing for the UK to take pole position looking after our own fishing grounds’ and that ports like Lowestoft, Grimsby and Hull had been destroyed by the CFP.